The U.S. Consumer Product Safety Commission and Health Canada in cooperation with Discovery Toys LLC, of Livermore, Calif., today announced a voluntary recall of about 2,900 in the United States and 700 in Canada units of Toddler Talk Toy Mobile Phones . The clear plastic antenna can break off, posing a choking hazard to young children. Discovery Toys has received reports of three incidents in which the toy telephone’s antenna broke off. A child was found mouthing the toy phone’s antennae but it was removed by his mother. 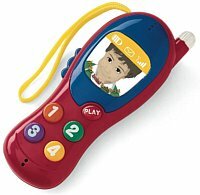 This recall involves a red and blue plastic battery-operated toy mobile phone with a small, clear antennae, buttons numbered “1, 2, 3, 4 and Play,” a screen with a boy’s face and the words “hello! hola! 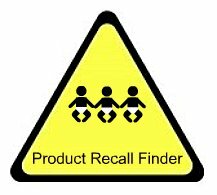 bonjour!” Only model number 1231 is involved in this recall. The model number is printed on the toy’s packaging. “Discovery Toys” is stamped into the red plastic on the back of the toy. The products were sold at Discovery Toys Educational Consultants nationwide from September 2010 through November 2010 for about $18. The toys were manufactured in China. Consumers should immediately take the recalled toy mobile phones away from young children and contract Discovery Toys for instructions on how to return them for a replacement toy.